We're sorry! This item is not available for direct sale, because it is either a bonus item or has been discontinued. Load up on long-filler lovelies at a low, low price with the excellent smokes in our 21 Cigar Salute Variety Pack Deal. 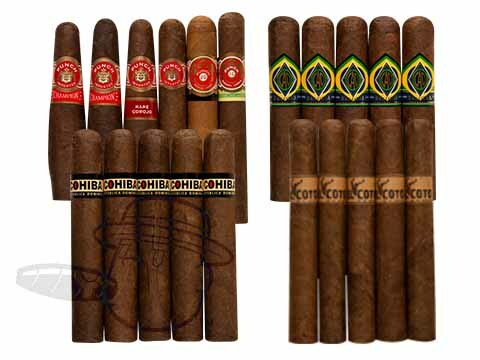 Compiling 21 undeniably tasty smokes from Punch, Cohiba, CAO, and more as well as a reusable Transmidity travel bag, this deal brings you big time quality, value, and satisfaction, all in one!